To retire extremely early, you need a 4%+inflation return of investment along with an 80% contribution to your savings for the next 5-6 years. You also need to be free of consumer debt and personal obligations such as taking care of someone who is not working or otherwise paying relatively large amounts of money to/for someone else. Observe how the passive income exceeds expenses between year 5 and 6. This is entirely possible and I just wanted to give you the numbers to demonstrate that fact. Having blogged about money saving strategies for over a year, hopefully I do not need to elaborate on how it is possible to live on $6000/year/person and how the difference between spending $6000 vs spending $20000 generally comes down to spending money extremely deliberately vs just spending it. Neither have I made any wild assumptions about the salary. A $30000/year salary is “easily” obtained by a flexible and moderately ambitious person e.g. state trooper: $42000/yr, long haul trucker: $44000/yr, UPS driver: $66000/yr, toll booth operator: $40000/yr. Even an overly educated research scientist makes over $30k (typically $35-42k with a PhD). Investment returns of 4%+inflation are easily obtainable in today’s environment. Please consider spending 500 hours of your time figuring out what they are. It is obviously important that you do not cordon off your funds in retirement accounts. The tax advantage that retirement accounts provide tend to vanish at a $6000/year income level which makes retirement accounts much less appealing beyond the free match that a few employers provide. 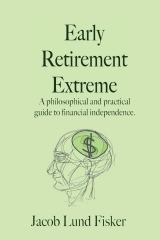 18 users responded in " Early retirement extreme retirement plan "
in the accumulation phase, right? @firefighter – You need to find a way to get your money out of the retirement account without penalty when you’re younger than 59.5 in the US. At the UPS range (where I’m currently at), I fully maximize my 401k and IRA and put the rest in taxable accounts. I’m no longer working towards FI though; just keeping money out of the government’s hands 😀 It is clear that there is no one size fits all. So maybe 500 hours learning about investing and 500 hours spent reading the exciting IRS publication 590. It may even be that speculating on taking the penalty might be a good idea. I have not looked into it. So, basically once you are done your accumulation phase (in 6 years)- this nest egg is supposed to sustain you for the rest of your life (not including the passive income)? This would also mean that your expenses should remain at the same level. This is interesting but what if your retirement plans include things like going on an around the world cruise, golfing, etc (hobbies that cost $$)? I would guess for this you’d have to give it up? Just asking…though I’d love to be free of my corporate job, I find that my husband and I spend about $60K a year (50% of our gross income). I consider myself frugal but my husband and I do have a passion for exotic travel. We do not have any debt (except for investment loans and a car loan, which will be paid off next year – we only took a loan on this because the interest rate was less than a high interest rate savings account, we do have the cash to pay it off at any time) and we own our own (fully paid off) home. Actually you can withdraw money from IRAs if you retire early; Google “72(t) distribution”. There are a few catches, one is that you have to withdraw a reasonably steady stream for at least 5 years. That rule is to prevent you from pretending to retire in order to circumvent the penalty. The IRS definition of “reasonably steady” is overly complex, but I think the tax benefits are worth the elbow grease it takes to figure that out. You’ve kept the Expenses column flat rather than increasing it by a modest inflation estimate. Surely that doesn’t match your own experience, does it? Quick calculation suggests that even a trivial 2% inflation rate means you’ll need to have $6500 for expenses after 5 years, which increases the savings goal by nearly 10%. He’s using real figures not nominal. His rate of return is after inflation so the spending power is constant at $6K per year. He could have used an investment return of 7% (4% real plus 3% inflation) and then increased his cash outflow by inflation (3%). You get the same answer but using only real figures is easier to demonstrate. I follow your blog with interest almost since you started it. I must say that this attitude bothers me. I understand that you do not plan to have kids. That’s your choice, of course, but you somehow skip it and focus on things like transportation and food. This choice is a lot more fundamental, in my eyes. Also, it’s fine to have separate finance in a marriage, but how can one partner declare her or himself independent and free while the other’s future is not yet secure? I have been the breadwinner of our family for most of my adult years. If I only considered my own expenses, I would be retired long ago. I am saving aggressively towards a modestly early retirement – hopefully well before 50. But my minimum plan is to provide for the kids until after college and for my husband for the whole of his life, as long as I decide when to pull the plug. In your investing part 1 entry to mentioned sometimes you’ll buy single issue short maturity corporate bonds (~12 month). Can you get decent pricing on these for small trades? How much are you investing on a typical issue? @Carlos – Currently 85% stocks, 10% cash, and 5% bonds (admittedly in an ETF). Scottrade offers new issues at 100 with no commission. These run to maturity. Hence tax calculations become very easy. Investments are 5000+N*1000, N=0,1,…. @ Larissa: same here, we have 3 children. I don’t see how I could retire early, when the youngest child leaves college I will be 52. We are already saving for an early retirement, but with low income, saving for our kid’s education and family expenses there’s just not that much left to save. Which ones, and are there any no-transaction fee ETFs? @Ram – I own EHI. There is a management fee (like with all ETFs). Transaction fees depend on your broker. If you want to have kids, add those expenses to the far right column and figure out how many years it will take you to get there using Jacob’s table. It’s not a one-size-fits-all program, he’s merely showing how the math is done. Also, re: the retirement plan discussion – you could always do a Roth IRA and just not touch the earnings until retirement. It would take some planning, obviously but would get you some tax-free earnings. … then, we still have to maintain our Aus house and LIVE. But, then again our version of your table took us from $30k in debt to $7 Mill. in the bank in just 7 years. The critical part of your post is not the numbers, but that you can create a passive income stream that covers your expenses, after inflation and taxes … AJC. Hey Jacob, where did you pull the 500 hours from? Is that a reference to something specific? Thanks.